Integrity is something so important as to be aware of rules and regulations. Integrity is a value present in Camargo Corrêa Infra and is part of the day to day of each of our professionals. Integrity has a much wider concept than following rules and laws. Being a person of integrity is to do the right thing for oneself and the others. This is how we think this company. We have a solid Integrity System , based on new values, supported by the company board and which leads the way of our behaviour to reinforce the do the right thing culture.  In order to transform the construction area honouring , above all, our commitment with society, Camargo Corrêa Infra needs professionals and partners aligned with the Ethics and Conduct code , which presents all its directives and principles. This code shows our concern for ethics and leads our actions. It is the pillar in our behavior in business. Our leaders are highly committed with this cause. Our executives spread integrity and zero tolerance culture to unethical conduct. We also have a team devoted to our Integrity Management System, with constant development aiming at the implementation of actions of detection , prevention and resolution. The Integrity team has regular training , reviews the norms , analyses suppliers and business partners and is always available for ethical dilemmas. We have our Ethical and an Ombudsman line as well, available to internal and external public. Access is free of charge, no reprimand is allowed and contact may be anonymous. We are all together for transformation. The Ethics and Conduct Code for Third Parties is a guide that shows the way suppliers , clients and partners of Camargo Corrêa Infra must behave in relation to the interested parties and public authority. We demand Third parties accession with the code, including agreement with current laws , particularly those related to corruption and fraud. All third parties must behave correctly and with integrity, following internal directives of the Code to all the value chain ( clients , partners, raw material suppliers , service providers with direct or indirect connection with the company activities).